With a new year before us, I’m starting my personal challenge to read through the Bible in the year, and so i will be posting from time to time from my personal reflections (I would love to post daily, if God wants, but He will have to provide the time!). So, here are some thoughts on Day Two. The woman saw that the tree was good for food and pleasing to the eyes, and the tree was desirable for gaining wisdom. So she took some of its fruit and ate it; and she also gave some to her husband, who was with her, and he ate it. Then the eyes of both of them were opened, and they knew that they were naked; so they sewed fig leaves together and made loincloths for themselves. When they heard the sound of the LORD God walking about in the garden at the breezy time of the day, the man and his wife hid themselves from the LORD God among the trees of the garden…. My first thought in reading this passage was, what bliss it must have been, to able to ‘hear the sound of the Lord God walking in the garden’. Imagine turning back time and sitting in the garden, just to hear the Lord walking… it is what every human heart wants but doesn’t know it is missing that incredibly intimate relationship with their Creator. To be able to walk with God, talk with God, ask questions about why the sky is blue and the why the moon’s shape waxed and waned. To watch God in His creative work. To see God’s delight in being with us, His creation. But then this perfect relationship and harmony came to an end. If Eve didn’t have a way out of loving God, could she have been free to fully love Him? 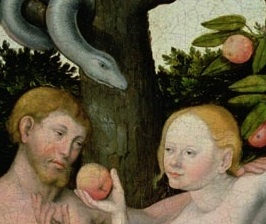 Would there have been a capacity for love at all if God did not allow the Tree, and the Serpent for that matter, to coexist with her and Adam in the Garden? “See, I give you every seed bearing plant all over the earth and every tree that has seed bearing fruit on it to be your food” (Gen. 1:29). “You are free to eat from any of the trees of the garden except the tree of knowledge of good and bad. From that tree you shall not eat; the moment you at from it you are surely doomed to die” (Gen. 2:16-17). They had the world of food to choose from as God’s expression of His love. And because of His love, they were given a way out of His love, if they so chose to not love Him in return. What does this teach us about our relationship with God, and with one another for that matter? Love must be free to be received and to be given. Without the Tree of Knowledge of Good and Bad, the woman could not express her love for her Creator through obedience. She would have been no better off than a robot or puppet unable to exercise her conscience. Everything would have been constructed for her. And human beings would not have known love. Yes, there was much lamenting that night in Bethlehem. The loss of the life of an innocent child is a heartbreak to the parents. Yet, as a society, are we failing to protect them? Particularly those in the womb? We allow a mother to end the life of her own child on demand, and the number of children who are no more is approaching 57 million in the United States since 1973; and 40 million in the world this year alone. On this day we commemorate the Holy Innocents who lost their lives at the whim of one man who saw a threat to his reign in the fulfillment of foretold prophecy of the Messiah (Jesus Christ). In a way, we are still killing the innocent because they are a perceived threat to our freedom; seen as a burden; we feel we are not prepared to nurture them; … the list goes on. So, what are we to do? Let us begin by praying for the end of abortion, and if you are on Twitter, use the hashtag #PraytoEndAbortion. Let us remind each other that life is to be celebrated in its very messiness; and that in doing so, we will find joy. Here is a great video that shows the pretty real messiness of being young parents, and what it means to embrace the craziness new life can bring. Enjoy. May the Holy Innocents assist us to bring about an end to abortion, and embrace a culture of life. Amen. So are the beginning and ending words of the proclamation of the birth of the Savior at Midnight Mass. The words speak of the long waiting for the Savior from the beginning of time, culminating with the birth of Jesus. Christmas is here! What better way to celebrate with the Universal Church than to watch Midnight Mass unfold with Pope Francis at Saint Peter’s Basilica. Here is this year’s schedule of how to participate:r’s Basilica in Rome. Step 1: Download the Booklet for the Holy Mass of the Night here. Step 2: Choose where to watch (if you can’t be in Rome). Let us unite with one another in prayer for Pope Francis, and for all those he challenges us to reach out to, especially the most poor. Blessed Christmas Everyone! Buon Natale a Tutti! May the Child Jesus fill your hearts with His Love and Joy! The Pope’s annual “Urbi et Orbi” message to the world will be given from Saint Peter’s Square on Christmas Day at 12pm Rome time (6.00 am ET / 3.00 am PT), and will be live-streamed above in the video window, via Centro Televisivo Vaticano. 12/31 at 9:30 PM ET. As the Holy Season of Advent winds down, I’ve been pondering the role of Saint Joseph in the life of Jesus. After reading a post today from Father Jason Vidrine (A classmate of mine from the Angelicum), I asked if I might share his homily for the 4th Sunday of Advent. He states so well what has been on my mind in the last few days, that I thought it would be good for you to read too. Enjoy! On this Fourth Sunday of Advent, all four candles of the wreath are lit…the feast of Our Lord Jesus’ birth – Christmas – is very near! The Church began to pray her annual Christmas novena on Tuesday of this past week…each day the great “O” antiphons were sung – the cry of the nations throughout the Old Covenant: O Wisdom, O Lord, O Root of Jesse, O Key of David, O Dayspring, O King of the Nations, O Emmanuel…come and set us free! And in these Scriptures on this Fourth Sunday of Advent, we hear how those long-awaited hopes were finally fulfilled, which we’ll celebrate again in two days! So hopefully by now, nearly all the gifts are wrapped. The Christmas cards are mostly sent and received. Some family members and cousins have arrived. The students’ break from school has begun. The children are looking up the chimney or toward the sky, waiting for the big arrival. With the children, we’re all filled with anticipation. Could there anything more exciting in our world than children waiting for Santa Claus? While there may not be many…there is one: a pregnant woman waiting for her little love to be born. The Gospel today shows us a central one! We hear that St. Joseph, not yet understanding God’s plan – finds his wife pregnant even though they had no marital relations – and prepares to send her away quietly. The Angel Gabriel comes to him saying:“Joseph, son of David, do not be afraid to take Mary your wife into your home. For it is through the Holy Spirit that this child has been conceived in her. She will bear a son and you are to name Him Jesus, because He will save His people from their sins” (Mt 1:20-21). The Blessed Virgin Mary is overflowing with anticipation…with expectation ever since the Angel Gabriel departed from her. She knew that the baby in her womb would change not only their lives…but the world and all of human history too. 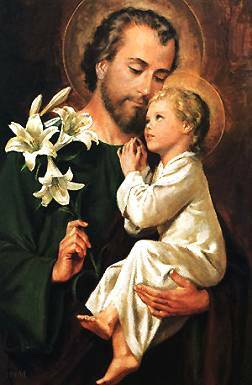 St. Joseph is invited to see and embrace this great mystery. St. Matthew tells us: “When Joseph awoke, he did as the angel of the Lord had commanded him and took his wife into his home” (Mt 1:24). Here we see St. Joseph fulfilling the mission God gives him. How? Discreetly, humbly and silently, but with an unfailing presence and utter fidelity…even when he finds it hard to understand. 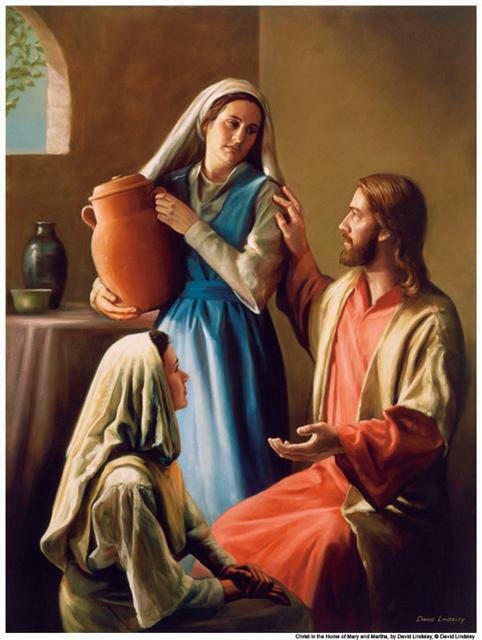 From the time he was betrothed to Mary until the finding of the twelve-year-old Jesus in the Temple of Jerusalem, he is there at every moment with loving care. As the husband of Mary, he is at her side in good times and bad, on the journey to Bethlehem for the census and in the anxious and joyful hours when she gave birth; during the drama of the flight into Egypt and at the frantic search for their child in the Temple; and later in the day-to-day life of the home of Nazareth, in the workshop where he taught his work to Jesus. 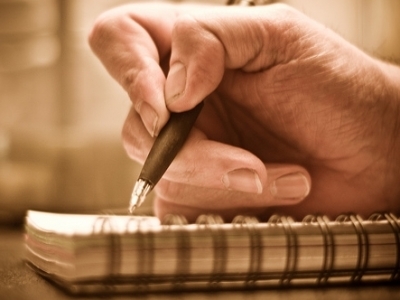 Always present…always faithful…always doing God’s will with haste. As we gather on the cusp of Christmas, perhaps there’s a final preparation we can make for it…maybe spending a few moments thinking about the great Gift God has given us… and focus on the gratitude we owe Him. The great gift of Christmas, of course, is the gift of His Son, Our Lord Jesus Christ. Pope Benedict notes how St. Joseph does what the Angel of the Lord commanded him (as we hear today) with haste. Of course, Our Lady goes to her relative Elizabeth’s home with haste…and the shepherds also made haste when they heard about Jesus’ birth. So he asks: “How many Christians make haste today, where the things of God are concerned? 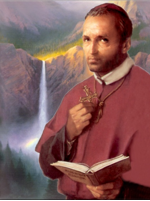 Surely if anything merits haste – so the evangelist is discreetly telling us – then it is the things of God.” A good thought for us today. There’s nothing wrong with Christmas shopping and preparing family gatherings in themselves. Those things are good and they require a lot of work and sacrifice. They are very important in terms of building and strengthening the family. But in light of the Gospel, Pope Benedict’s question becomes so important: “How many Christians make haste today, where the things of God are concerned?” There’s lots of anticipation and excitement…but for what exactly? At this time, newspapers often publish children’s Christmas letters as the Gazette did today. They write to Santa asking for all kinds of things…from a baby doll, tea set, bike, basket ball, Halo man, X box, 4-wheeler, I-Pad, scooter, fire truck, ferret, I-Pad mini, to a monkey, trampoline, gun, dog, computer, clothes, etc. What were Pope Benedict’s Christmas requests as a child? The first thing he asked Jesus for was joy. 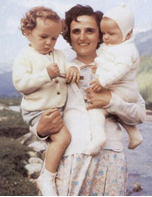 It’s one of the themes he returned to again and again his homilies and writings as Pope. Joy is like God Himself…difficult for us to describe. We can understand it more by what it’s not. Joy is the opposite of misery, sadness, grief, sorrow…the literal state of depression and despair that fills the hearts of so many folks in our world today…even though they have everything they want and more! “Joy is the echo of God’s life in us!” (Blessed Columba Marmion, OSB). That’s what little Joey Ratzinger wanted. The second request for Christmas Pope Benedict had as a 7 year old was a Schott…one of the first prayer books for Mass for children – with the German next to the Latin texts. 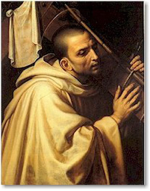 The little Joseph also asked for “green clothing for Mass.” The Pope and his brothers used to play Mass and their mom, who was a seamstress, would make clothes similar to Mass vestments for them to use. What this shows us was the devotion of their family. The worship of God was a central part of their lives. Even as a young boy, Pope Benedict knew that God is present and that we truly encounter Him here in the Sacred Liturgy. 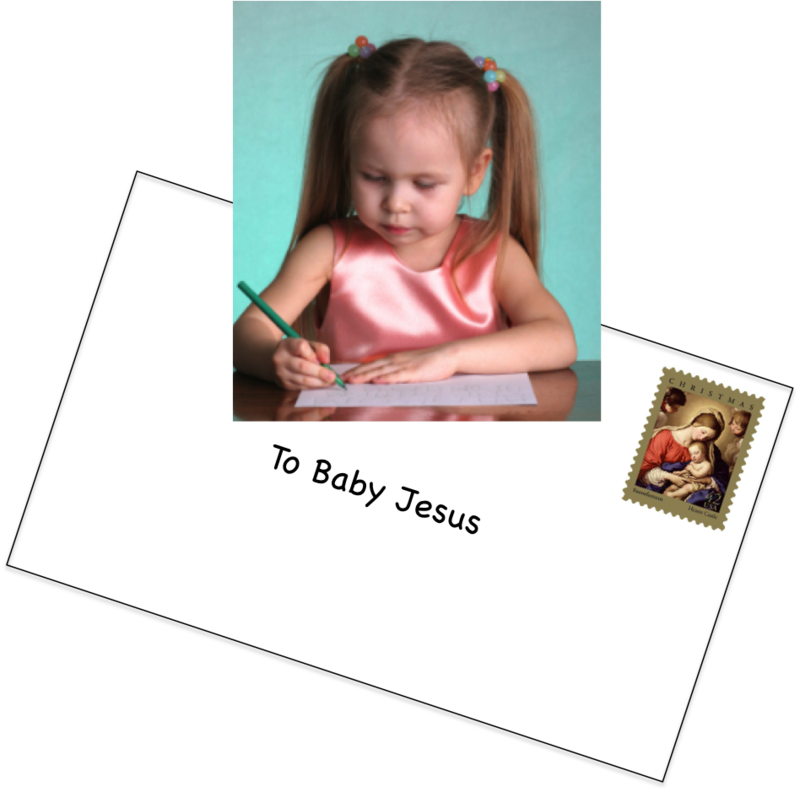 Why do I point out this great difference in these Christmas letters of children? Because again, I think the difference is much more than simply one of a “different time”. Christmas brings great excitement, anticipation, haste…but about what?? For what?? As we gather on this Fourth Sunday of Advent, let us ponder the question of the 86-year-old Joseph…now Pope Emeritus spending his last days in quiet and prayer for us: “How many Christians make haste today, where the things of God are concerned? Surely if anything merits haste – as the Gospel writer is discreetly telling us – then it is the things of God.” Let us follow the example of St. Joseph. He does the will of God with haste. Let us draw near to him and the Blessed Virgin Mary, asking their prayers for us that this Christmas we might experience a grace: regarding God and the things of God, we might overcome all sloth and laziness…that we might make haste and open our hearts to encounter the only One who can and does give us true life: the newborn King, Jesus Christ the Lord (John 10:10). Amen. Rev. Fr. 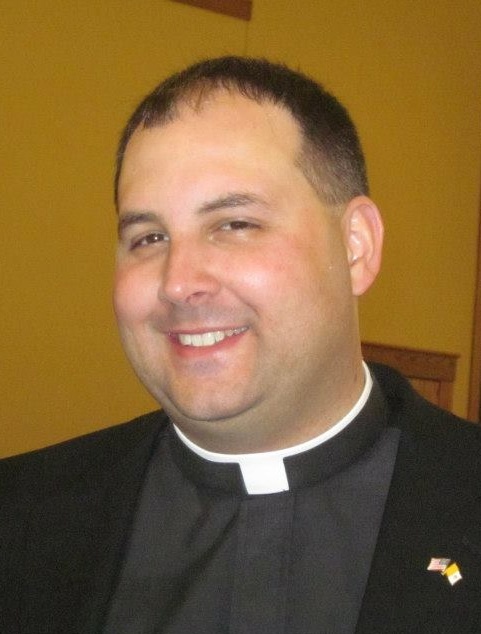 Jason Vidrine was appointed Pastor of Sacred Heart Parish in November 2013. He was ordained Deacon at St. Peter’s Basilica in Rome on October 6, 2005 and then as a Priest for the Diocese of Lafayette, LA, on July 8, 2006. Fr. Vidrine is a native of Ville Platte and entered the seminary after graduating from Bayou Chicot High School, completing a B.A. in Arts and Philosophy from St. Joseph Seminary College in Covington, LA in 2002. 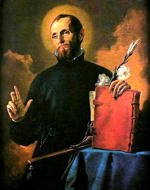 Following college seminary, he was sent to Rome for theological formation at the Pontifical North American College and earned an S.T.B. and M.A. in Dogmatic Theology at the Pontifical University of St. Thomas Aquinas (Angelicum). Fr. Vidrine’s previous assignments have been as Parochial Vicar at Our Lady of Wisdom Church and Catholic Student Center on the campus of UL and Sts. Peter and Paul Church in Scott, as well as, most recently, as Pastor of St. Peter Church and Principal of St. Peter School in Gueydan, LA. He also currently serves as a professor of Mariology for the Aquinas Institute of Theology in the Diocese of Lafayette, the spiritual director of Our Lady of Grace Comitium of the Legion of Mary in the Diocese of Lafayette, and assistant Diocesan Master of Ceremonies. How many of our girls today need to hear this message that they are more than what society sells them? The Church teaches all is made by “the author of beauty” (CCC 2500, Wisdom 13:3). Yet because of sin that good is often distorted, seeking something not created by God, but is of human origin. psychology, especially in the areas of their sexuality. See, nowadays we use computers to “improve” images of real women, which is quite appropriate. After all, computers are manmade creations, just as our modern conception of “beauty” is a manmade creation. 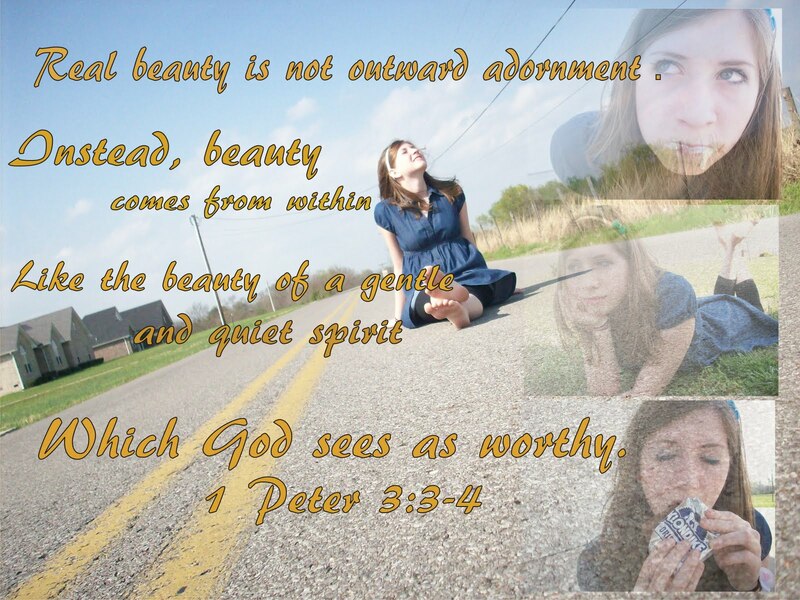 Modern “beauty” — or whatever you want to call it — certainly isn’t natural, and it most assuredly doesn’t come from God. It’s manufactured. It’s a product. True beauty, on the other hand, is art. It’s full of life. It’s unique and dynamic and vibrant. 1. Go to Mass. It is the First Saturday as well, so you are more likely to find a Church that will celebrate Mass Saturday morning. 3. Pray the Rosary together as a family. 4. Offer your day for Pope Francis intentions. 5. Invite others to pray too. The Pope has reached out to to “…every Christian of other confessions, as well as to followers of every religion and to those brothers and sisters who do not believe…” so to unite all under the banner of peace. If you are willing, please share this post with others, that more may join us in this world day of fasting and prayer for what is needed in our world: Peace. There are so many conflicts in this world which cause me great suffering and worry, but in these days my heart is deeply wounded in particular by what is happening in Syria and anguished by the dramatic developments which are looming. I appeal strongly for peace, an appeal which arises from the deep within me. How much suffering, how much devastation, how much pain has the use of arms carried in its wake in that martyred country, especially among civilians and the unarmed! I think of many children will not see the light of the future! With utmost firmness I condemn the use of chemical weapons: I tell you that those terrible images from recent days are burned into my mind and heart. There is a judgment of God and of history upon our actions which are inescapable! Never has the use of violence brought peace in its wake. War begets war, violence begets violence. With all my strength, I ask each party in this conflict to listen to the voice of their own conscience, not to close themselves in solely on their own interests, but rather to look at each other as brothers and decisively and courageously to follow the path of encounter and negotiation, and so overcome blind conflict. With similar vigour I exhort the international community to make every effort to promote clear proposals for peace in that country without further delay, a peace based on dialogue and negotiation, for the good of the entire Syrian people. May no effort be spared in guaranteeing humanitarian assistance to those wounded by this terrible conflict, in particular those forced to flee and the many refugees in nearby countries. May humanitarian workers, charged with the task of alleviating the sufferings of these people, be granted access so as to provide the necessary aid. What can we do to make peace in the world? As Pope John said, it pertains to each individual to establish new relationships in human society under the mastery and guidance of justice and love (cf. John XXIII, Pacem in Terris, [11 April 1963]: AAS 55, , 301-302). All men and women of good will are bound by the task of pursuing peace. 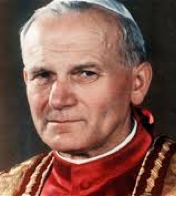 I make a forceful and urgent call to the entire Catholic Church, and also to every Christian of other confessions, as well as to followers of every religion and to those brothers and sisters who do not believe: peace is a good which overcomes every barrier, because it belongs all of humanity! I repeat forcefully: it is neither a culture of confrontation nor a culture of conflict which builds harmony within and between peoples, but rather a culture of encounter and a culture of dialogue; this is the only way to peace. May the plea for peace rise up and touch the heart of everyone so that they may lay down their weapons and be let themselves be led by the desire for peace. To this end, brothers and sisters, I have decided to proclaim for the whole Church on 7 September next, the vigil of the birth of Mary, Queen of Peace, a day of fasting and prayer for peace in Syria, the Middle East, and throughout the world, and I also invite each person, including our fellow Christians, followers of other religions and all men of good will, to participate, in whatever way they can, in this initiative. On 7 September, in Saint Peter’s Square, here, from 19:00 until 24:00, we will gather in prayer and in a spirit of penance, invoking God’s great gift of peace upon the beloved nation of Syria and upon each situation of conflict and violence around the world. Humanity needs to see these gestures of peace and to hear words of hope and peace! I ask all the local churches, in addition to fasting, that they gather to pray for this intention. Let us ask Mary to help us to respond to violence, to conflict and to war, with the power of dialogue, reconciliation and love. 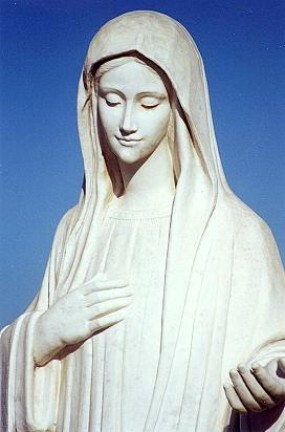 She is our mother: may she help us to find peace; all of us are her children! Help us, Mary, to overcome this most difficult moment and to dedicate ourselves each day to building in every situation an authentic culture of encounter and peace. Mary, Queen of Peace, pray for us! The Word. It is always effective, ready to penetrate the hardened heart as easily as a well-tuned chain saw slices into heart of a tree, to reveal its age and history. So God’s word has the power to divide our being between what the world tries to define us as, and that which we truly are in our call to holiness in the image of our Maker. Just as God knows the core of the tree before it is revealed, so He understands fully our hearts. Nothing is concealed from His gaze. It is for our sake that sometimes in taking up the Word of God, our hearts are pierced. The Good Physician opens the wound to free us from the poison of our lives, and heal us, making us ready containers for His Spirit to dwell. Sometimes, when we read or listen to the Word of God, it doesn’t seem to penetrate anything; it seems to be just words. But just as the passage from Isaiah claims, the Word ‘shall not return to God void, but shall do his will, achieving the end for which it is sent.’ Over time, and perseverance, we begin to see the workings of the Word in our lives. 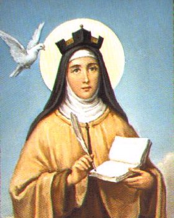 Saint Teresa of Avila is very encouraging on this point. 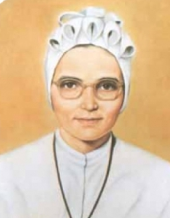 She would tell her Sisters, when they find themselves confronted by an obstacle – whether it be a person, an attitude, a sin – to simply ask God to remove it. And keep asking until He does. Perhaps there is an obstacle that we are not aware of? Then let us ask God to reveal it. Naming our obstacles takes away any power they may have over us, in the same way that confronting our vices makes it possible for us to avoid their occasions and build resistance to them. 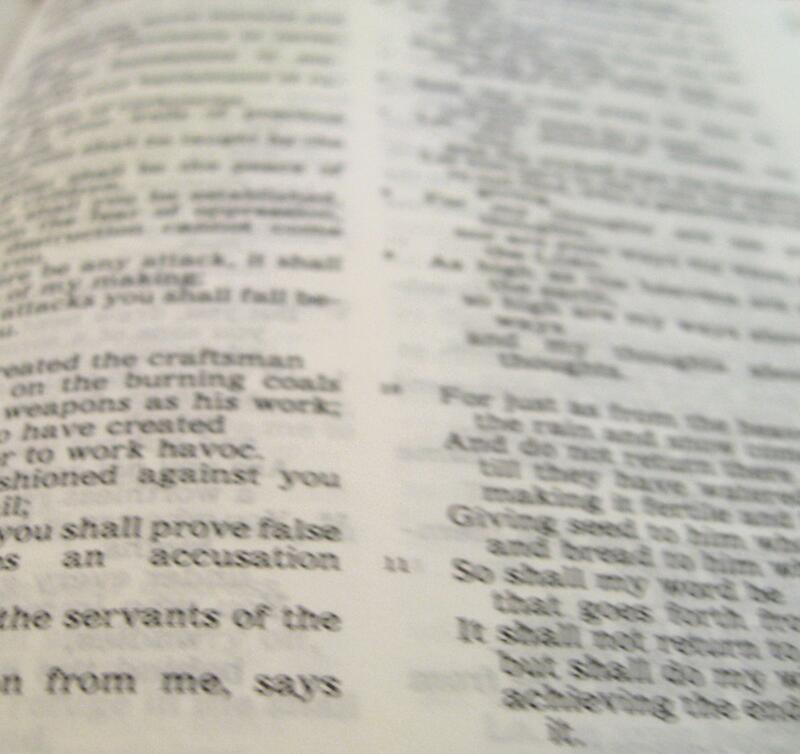 The Word, by picking it up daily, is consenting to have God work in our lives. And, little by little, it will cleanse and purify our hearts to desire God more and more, giving us strength to endure. In this way, the Word of God will ‘achieve the end for which it was sent’. Who Will Defend You at the End? If you passed away tonight, would you be able to defend yourself at the gates of St. Peter? How would you present yourself to GOD? I’ve been reading through a book on Marian Consecration, called 33 Days to Morning Glory (let me know if you’re using it!). It has taught me so much of what it means when we consecrate ourselves to God through Mary. Powerful stuff. My Response to the question?
. @lcorbo13 I would present myself w/empty hands. 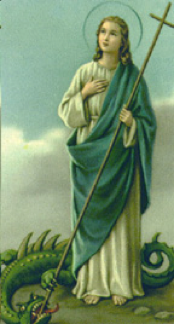 All my merits given to Mary, so I would be dependent upon her to defend me before her Son. What is your response? How would you defend yourself before Saint Peter at Heaven’s Gate? Remember. During the month of May, we remember Mary in a special way. How are you honoring our spiritual Mother this May?